Injection molded poly base. 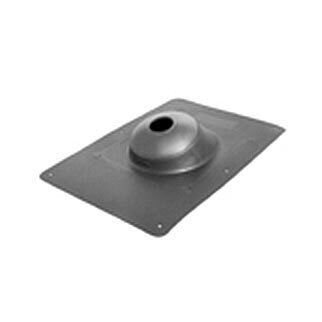 TPR collar molded onto base to form one-piece permanent bonding of materials. Accommodates roofs from 0 to 45 degrees. Not for hot mop applications. Eliminates leaks by compressing around the pipe, creating a watertight seal. Resists extreme weather conditions and exposure to UV light.